At the beginning of the month Next Casino launched its exciting Christmas Calendar which offers players bonuses and promotions every day. Over the last week players have been able to claim free spins on a huge variety of slots with a total of 710 spins up for grabs. Today the casino is unveiling the next seven days of special offers and it is sure to be at least as rewarding as last week’s. In addition to free spins the calendar will also be offering entrance to special raffles, bonus prizes and much more. To benefit from these fantastic offers all you have to do is become a member of Next Casino and visit the Christmas Calendar page every day to see what is on offer. 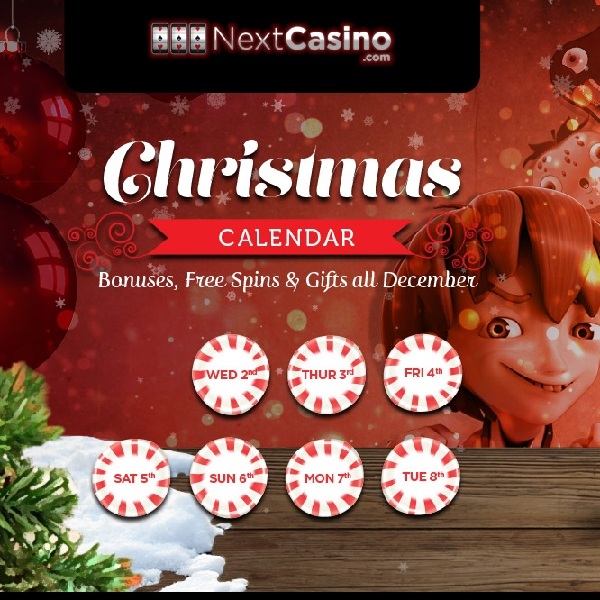 Don’t miss out on all the Christmas action, head over to Next Casino today and see what this week’s calendar holds.